Rediscover all the pleasures of authentic, luxuriant flavours thanks to our organic range – most of them belong to the Jean d’Audignac BIO brand. 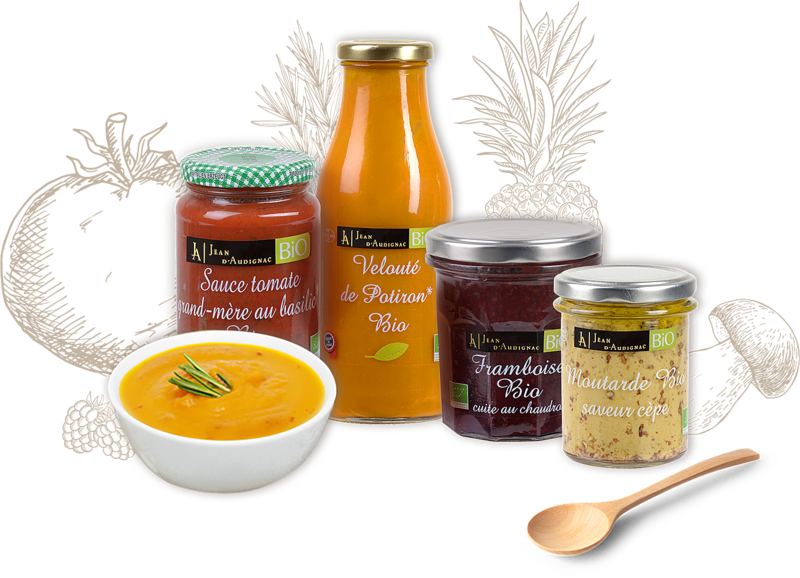 Our selection of gourmet products is certified organic, so that we can give you ever-more natural flavours. From canapes to dessert, our organic products range is very varied.